The sun was shining on Pittencrieff Park for the Condies summer Carnival themed Corporate Fun Day. Guests dived right into the fun on the Coconut Shy and the Hoopla. There were many prizes up for grabs throughout the day and many big kids competed for the chance to practice their air guitars on the blow up guitars. The Coconut Shy saw some fierce competition as many tried to knock the coconuts to the ground. Plenty of guests won sweeties but only Ashley and Stephen managed to knock three coconuts down in a row. The sudden death competition ended when Ashley successfully knocked one down, winning the victorious Champagne as their prized trophy! The final of the Longest Putt was up next and it was a tense three rounds between the finalists Alan, Laura and Gaynor, there was fierce competition and intimidating stares thrown around but there could be only one winner! Massive congratulations to Gaynor who won the Champagne and the coveted Team Challenge Company Trophy. It was a great day to celebrate all the winners and the team for Condies as all the guests put their all in to competing and followed the sun around the beautiful Glen. 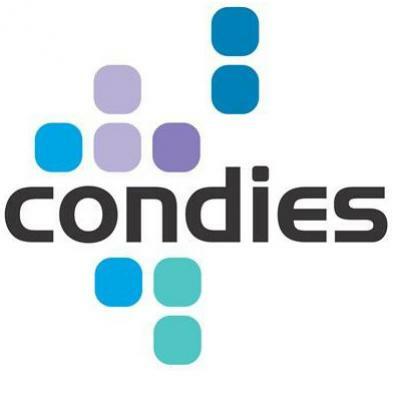 Sadly it was time to say goodbye to Linda, Catriona and all the team at Condies after a fun filled day in the park. We hope to work with you guys again soon!